The main purpose of this project was through language teaching campaign on public transport to reach general public in 6 European countries, helping people to realize the importance of languages. Three languages in each partner country were chosen for the campaign: English as a Lingua Franca; State language of the country; Language of the minority or neighbouring country (in Lithuania - Polish, in Poland - German, in Romania and Malta - Italian, in Germany - Turkish, in Italy - Spanish. The main project activity-language teaching campaign on PT in each partner country was organized in the following steps: 1) Developing teaching materials for the campaign: words and phrases on everyday topics: Meeting people, On public transport, Asking for directions, Going out; 2) Displaying eye-catching posters in PT stop shelters informing about some unexpected activities on PT; 3) Exhibiting eye - catching posters/cards with developed by the project social phrases on everyday topics in different target languages inside PT on each topic for a certain period of time and playing high quality recorded tapes with chosen social phrases in 3 languages, 4) Distributing give-back forms on PT with appropriate tasks including social phrases and encouraging the commuters to work on tasks and really test their language skills. The filled in forms were collected or sent by the commuters to local partner institutions; 5) The Language Fair as the final event of the campaign organised at one of the local PT stops/stations in each partner country. The project final product - a phrasebook and CD with recorded social phrases were produced for each partner country in 3 languages that had been used during their campaigns. Developing European language skills is vital for today’s citizens of the European Union. They move around, travel, explore unfamiliar countries and places of interest, meet local people and interact in diverse social surroundings. People need to be equipped with quite a number of social phrases and be understood in unfamiliar circumstances. In this context it is vital to encourage and enforce European people of different nationalities and linguistic diversity to learn less widely used foreign languages (LWUFL). The knowledge of a foreign language facilitates faster integration into a society of a new country, encourages local communities to be more open to new cultures and traditions and increases possibilities for mobility in EU . In accordance with the EU linguistic insight and strategy, encouraging every European to speak two more languages apart form his own native one, the project focused on providing a stimulus to the acquisition of foreign languages of minorities or neighbouring countries and English being the Lingua Franca. - stimulate multilingualism and the processes of the integration into multilingual context; - facilitate students' and labour force mobility in EU. According to Daiva Malinauskiene ( SIH director and project promoter,The project adapted the lifelong learning approach in language learning. Campaign on PT motivated the target groups of different age range for self studies or learning languages at language centres. This stimulates LL process of the EU citizens. The promotion of the languages of the minority or neighbouring countries during the campaign served as stimulus to learn LWUEL, get to know the neighbours, their culture and make them feel more comfortable and at the same time prepare to interact in a multilingual European context. - Less widely used European languages were promoted. - Access to individuals for language learning was facilitated. - More language resources available from local authorities via schools were made available. - Linguistic needs of the general public were responded to. - The acquisition of a number of social phrases in the target languages as the initial stage of international communication. - Phrase book and CD in target languages for people travelling through Europe. Outcomes met the expectations. The people who got involved into language learning process in an unusual out of classroom environment-PT greatly supported this idea and following the survey results made up their minds to continue language learning or return to abandoned language studies. Was an assessment of the quality of results carried out? If yes, which were the indicators adopted? The assessment was carried out internally and externally. Internally-by organizing internal evaluation visits to partner countries for evaluation of their language campaigns and externally-by an external evaluator by means of questionnaire forms, participation at partner meetings, individual interviews and summarizing evaluation results. The project developed new solutions for language acquisition by providing an innovative out-of-classroom environment for teaching languages. The innovative solutions to the actual problems facilitated the success of the project implementation which resulted in wide visibility all over Europe and even reached US (info on the project on BBC online news page, Deutsche Welle webpage, The Christian Science Monitor, etc.). Having in mind that the European Label award encourages new initiatives in the field of teaching and learning languages, we decided to apply for the award. In addition we were encouraged to do so by the Education Exchange Support foundation. We filled in a specially developed application for the European Label Award form, developed by the Education Exchange Foundation with an expectation to be awarded. We applied with the expectation to be awarded. - displaying info about the project during national and international events, educational fairs. While working on any initiative, first of all we have in mind the benefits it will bring to people-our target groups. And afterwards, their high evaluation and support on the work done, is the main award for us. The satisfaction can be doubled when the initiative is awarded the European Label or any other award. Generate an innovative or even crazy but rational ideas, which could intrigue people and would focus on their needs, develop new, playful language teaching methods, set up a good team, goal orientated. Be persistent in working towards your aim and you will succeed. A strong and effective example of LLL policy application. ‘Learning by Moving’ was a creative, innovative and interactive project. Moreover this language learning project was a successful beginning for the new project ‘Languages on the Move’. The project ‘Languages on the Move’ was implemented together with another 4 Nordic – Baltic partner countries (Estonia, Denmark, Finland and Sweden). The aim of the project was to encourage and stimulate learning of Nordic and Baltic languages in the public international transport, such as international buses, ferries, trains, etc. The project was addressed to employees, students and tourists travelling between these countries. The ‘Learning by Moving’ project attracted mass media’s attention. The information about the project was published on the BBC news, The Baltic Times journal and much more. Message: Nellip is a very ingenious project. 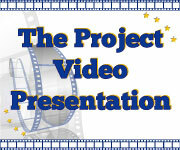 Why ELL awards and what lessons do the projects awarded this distinction teach? 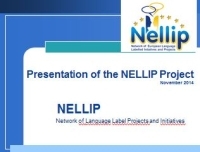 This is the role of the Nellip project. It harmonises the philosophy of the prize that is awarded nationally with a common view, that of excellence, impact and creativity, irrespective of the national juries that select the winners. Message: Promotion of less widely used languages on the public transport directly brings the multilingual diversity of Europe in people\'s lives. The promotion of minority and neighbouring languages should be encouraged and further supported.